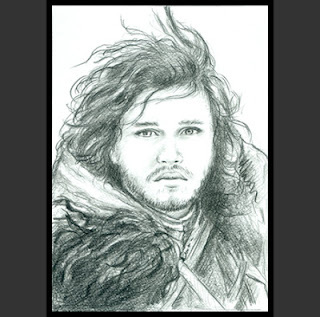 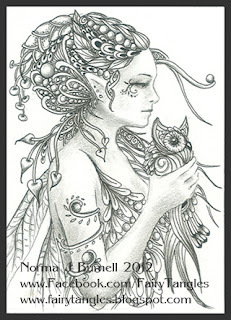 Cold & snowy day = drawing time. 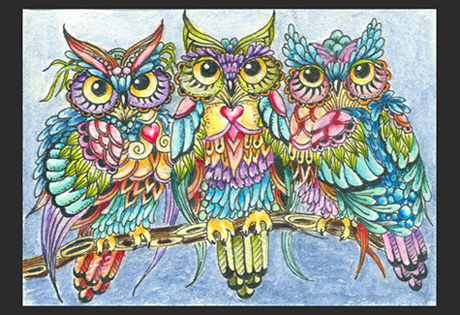 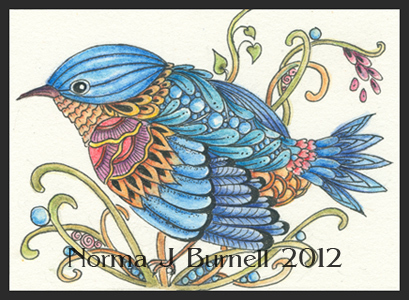 Here's 3 ACEO cards I drew over yesterday and today: All are 2.5x3.5 inches in size, micron pen, graphite, Prismacolor and clear star glitter pen on Bristol Board paper. 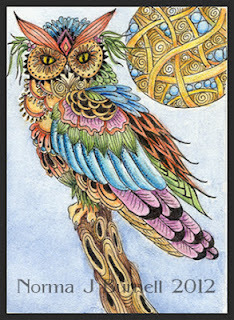 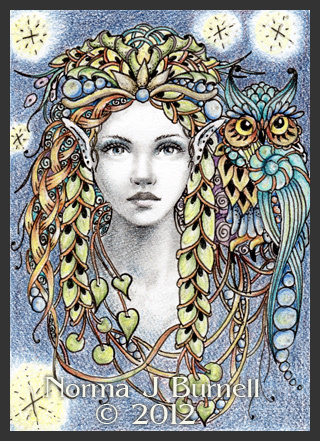 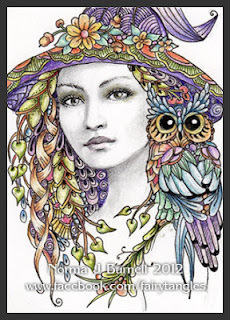 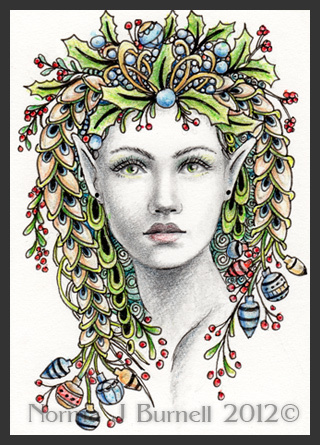 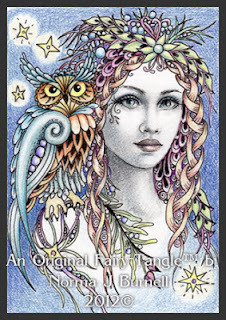 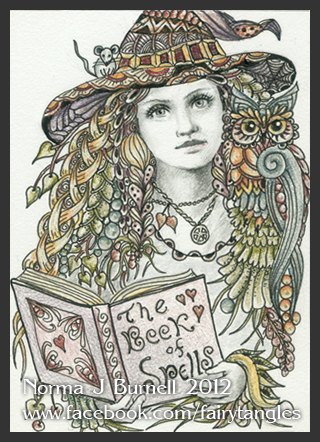 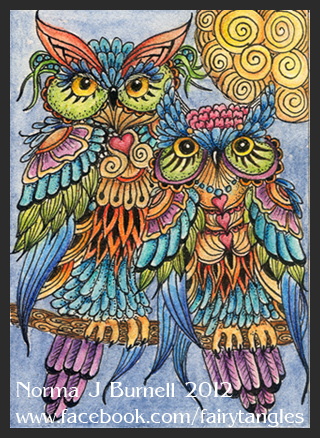 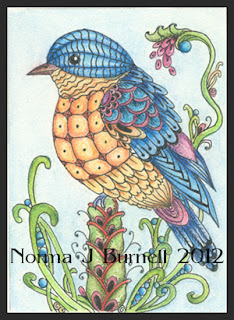 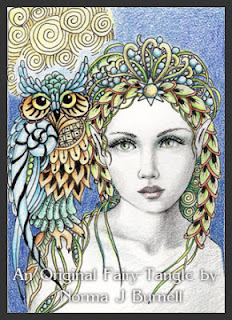 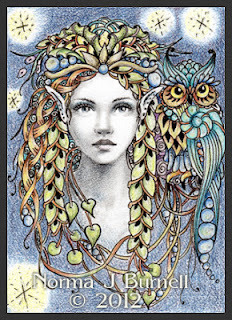 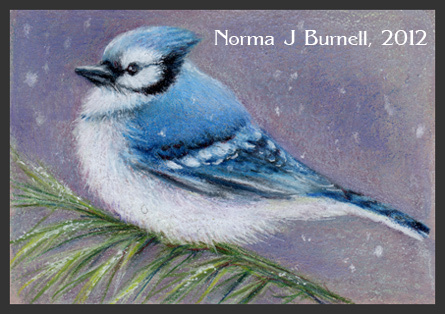 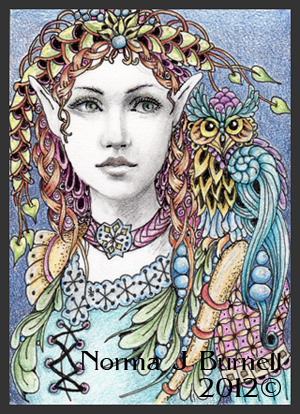 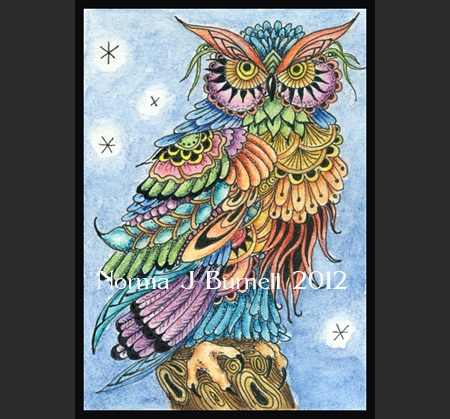 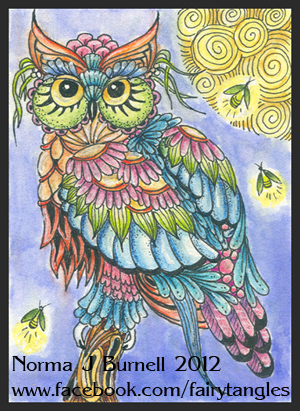 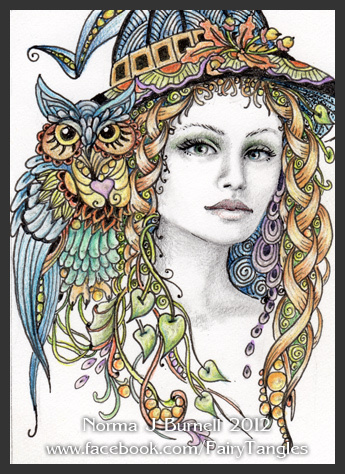 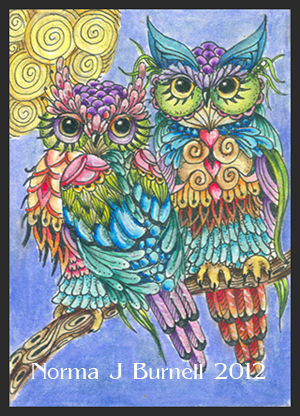 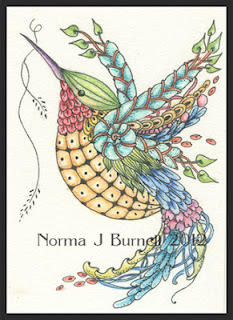 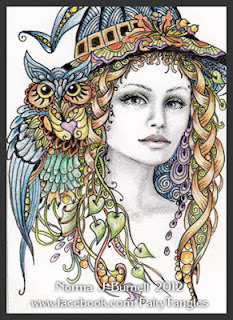 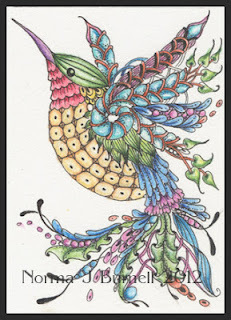 Here's an ACEO card I did as a commission Christmas present for a lovely young lady - didn't want to post it till after Christmas. 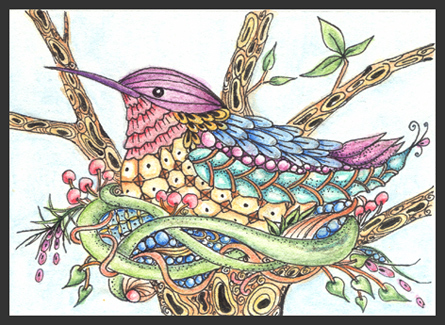 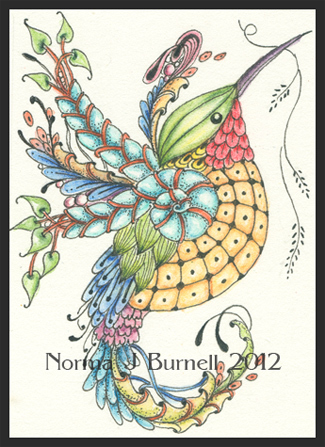 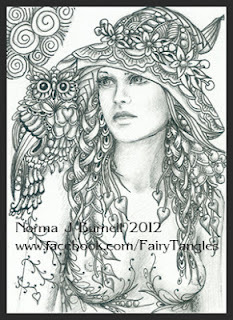 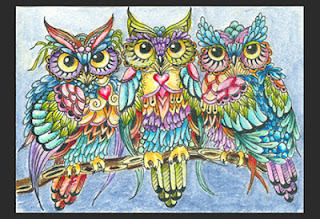 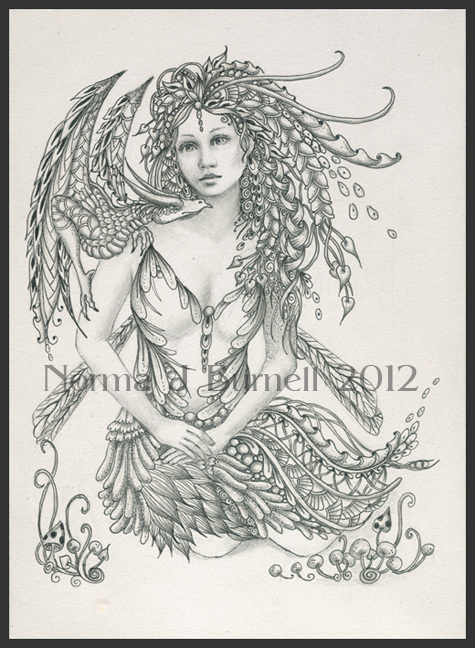 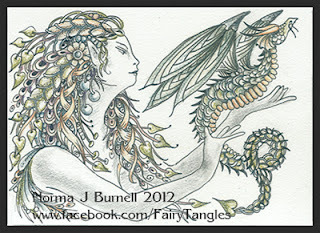 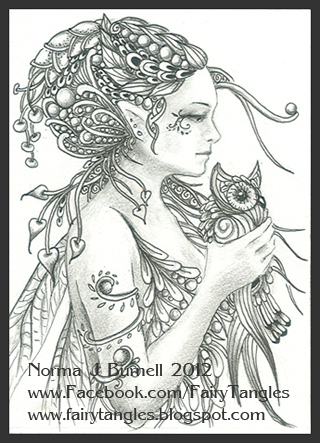 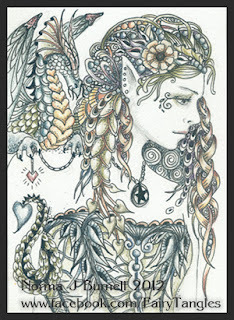 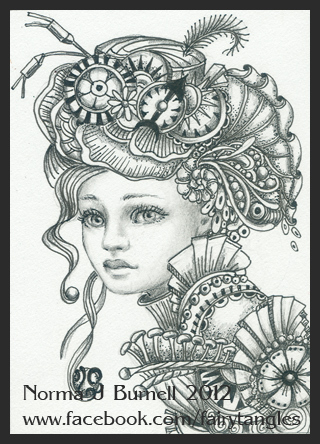 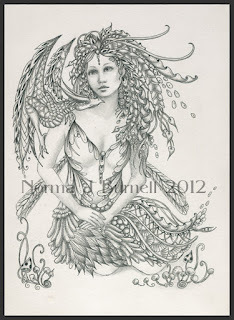 Art card size, 2.5x3.5 inches, micron pen and graphite on smooth Bristol board paper. The Holiday's are over...for me anyway, don't do much for New Years. Anyway, got to do a little drawing last night and finished this one up. 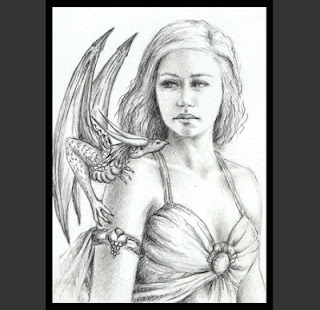 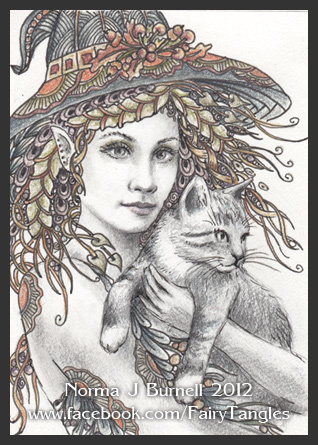 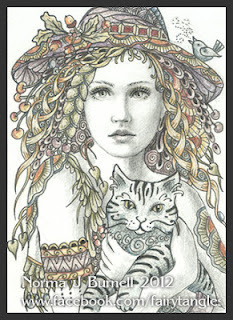 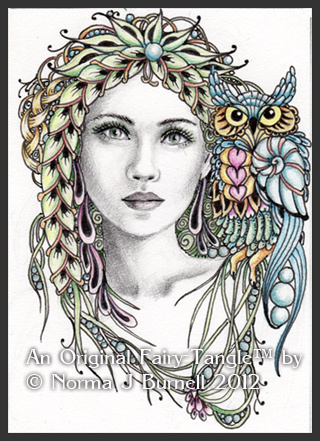 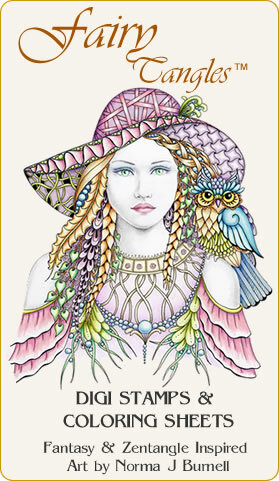 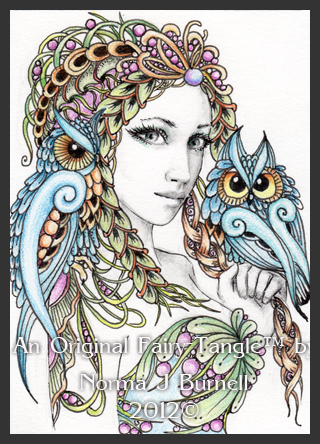 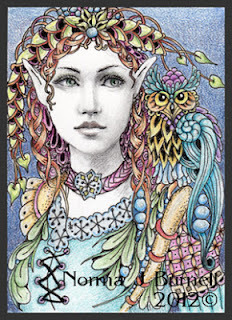 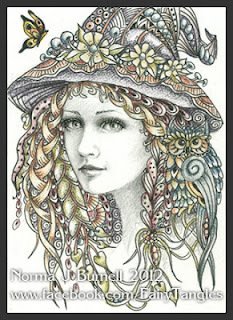 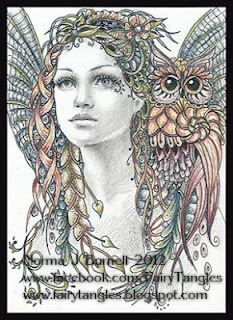 "Jade & Ranger", ACEO size, 2.5x3.5 inches, Prismacolor, micron pen and graphite on Bristol board. I've been separated from my pencils far too long :) nice to be back drawing. 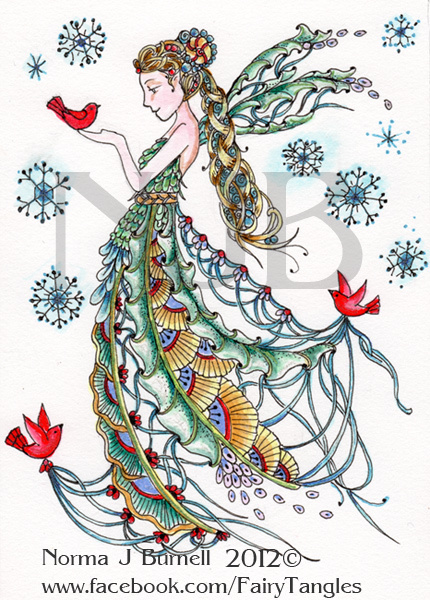 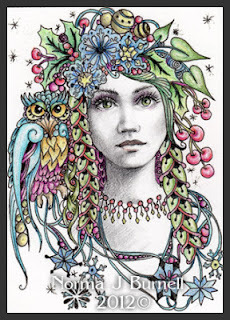 Snow Fairy - 4x6 inches, Tombow brush pens and ink on hot pressed watercolor paper. 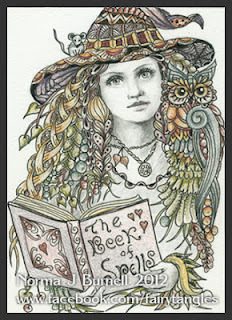 Tis the season...the Witching Season! Here's Lily & Boo, ACEO, 2.5x3.5 inches...micron pen, graphite, tinted graphite and clear star glitter pen on 400 series bristol board. 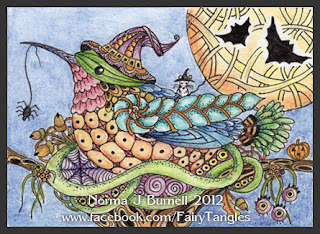 Here's two new little witch aceo's - both are done with graphite, micron pen, prismacolor pencils and clear star glitter pens....sparkly for Halloween! 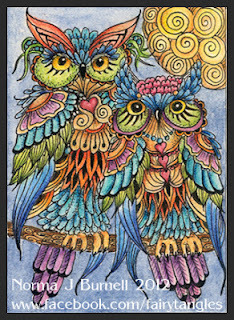 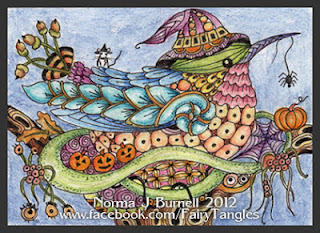 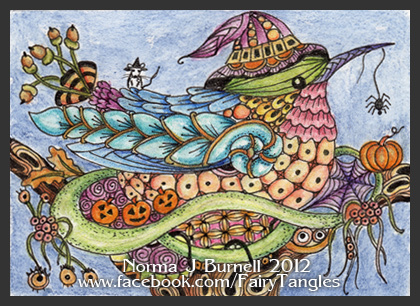 Worked on these two little guys together - Trick & Treat - both are ACEOs, 2.5 x 3.5 inches, drawn with Micron pen, Inktense pencils and star glitter pens. 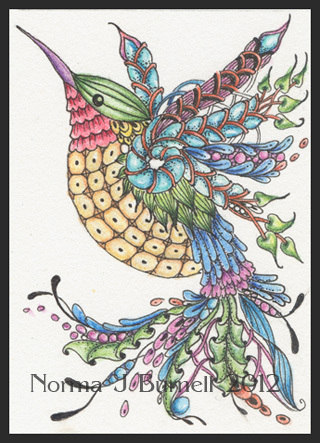 Wish the glitter showed up. Now the question is "Is the Spider a Trick or a Treat?" 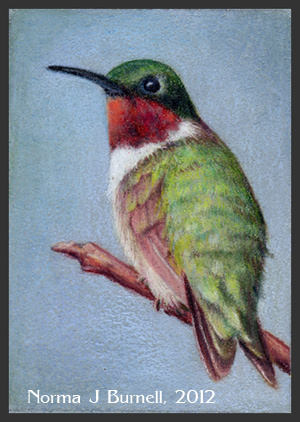 We all know hummers love nectar, but did you know they like to eat spiders too? 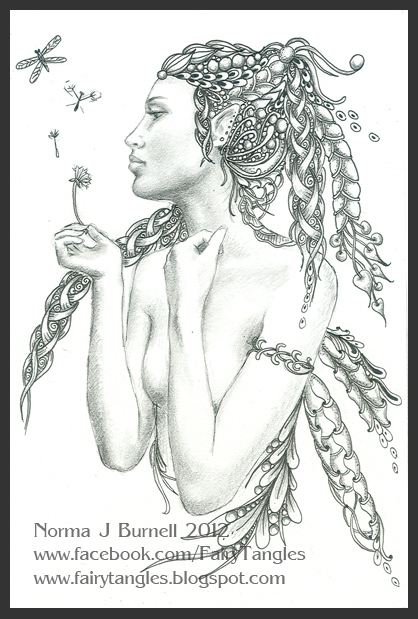 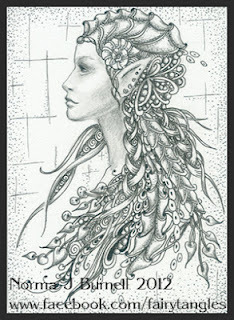 Really got into drawing this one tonight...started her last night and couldn't wait to work on her tonight - This is "Transformation", a 4x6 inche Fairy-Tangle™, micron pen and graphite on smooth 400 series Bristol Board....still my favorite paper. 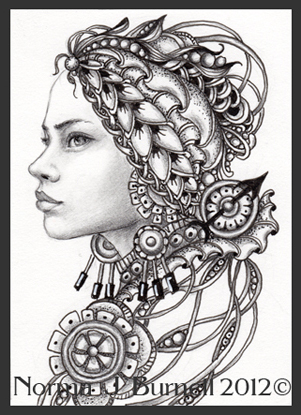 "The Release", 2.5x3.5 inches, Graphite and Micron Pen on 400 series Bristol Board. 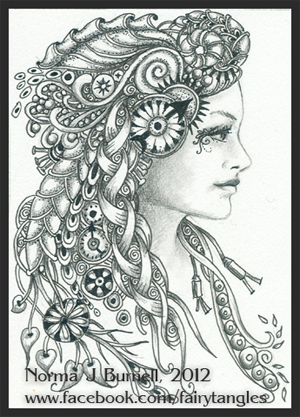 I think this might be a personal favorite....something about the pure black and white. 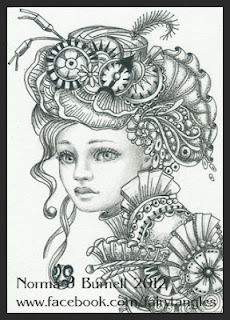 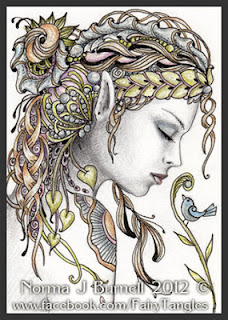 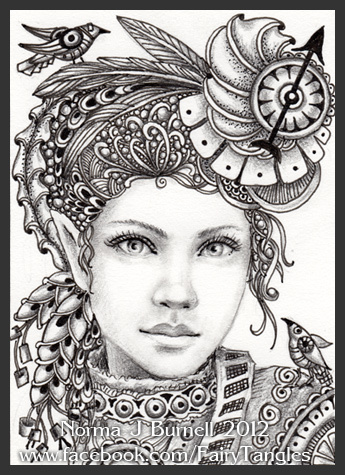 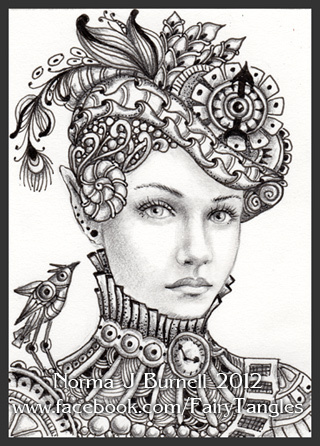 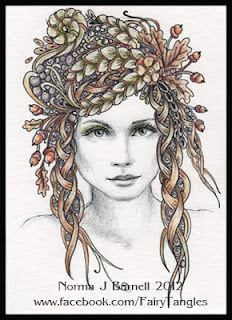 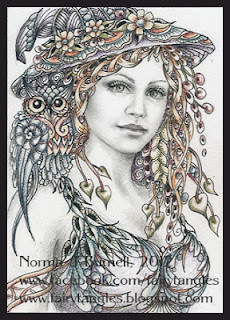 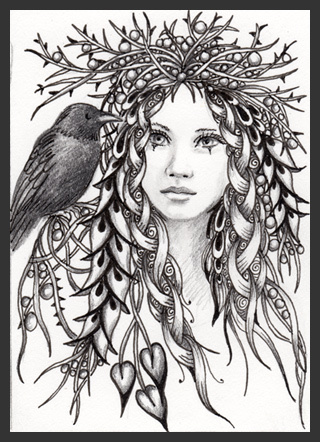 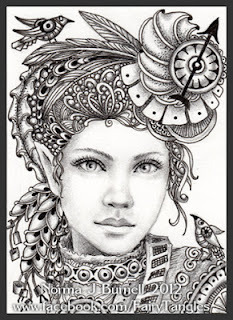 Here's one of my latest "Fairy-Tangle™" Art cards, "Ember", 2.5x3.5 inches, micron pen, graphite, tinted graphite and touches of clear star glitter on 400 Series Bristol board.